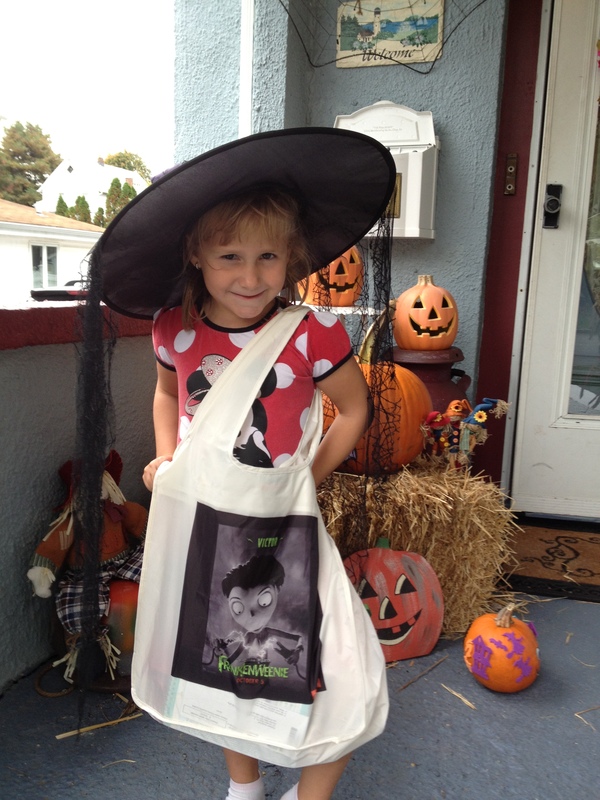 Amelia has been happily practicing for trick-or-treating with her new Shutterfly tote featuring Disney’s Frankenweenie. It’s a perfect accessory to her Pink Power Ranger costume. My husband has never been fond of traditional trick-or-treat bags, he always felt they were too small and couldn’t carry enough loot. He will be thrilled with the candy carrying capabilities of this tote. Shutterfly has this and many other great DIY projects on their site. Frankly, I thought Shutterfly was simply for printing photos and photo books. I am a huge fan of photo books, I love them. Of course when I say I love them, that is really only in theory and not in reality since I have only ever made one in my whole life. My problem -I make it too big of a project and never finish them. I am too picky and try too hard to make it perfect and therefore never make any progress. I have many half finished books- but alas my personal problems are for another day. As far as Shutterfly is concerned I was thrilled to see how much was offered on the site. They are way more than just photo books and prints. If you are looking to create special DIY projects with your pictures the site offers lots of inspiration. They even provide tips on how to take great pictures. I might actually finish a photo book if I used Shutterfly. I sat down this afternoon to create a DIY reusable tote to see how long it would actually take. The whole process took less than ten minutes. Ten minutes from soup to nuts and that was including logging on, uploading the picture and creating my bag. Of course since I am doing this a day late and a dollar short for Halloween I had to pay to expedited shipping- such is my life. The price without shipping is only $14.99 a pretty good deal. 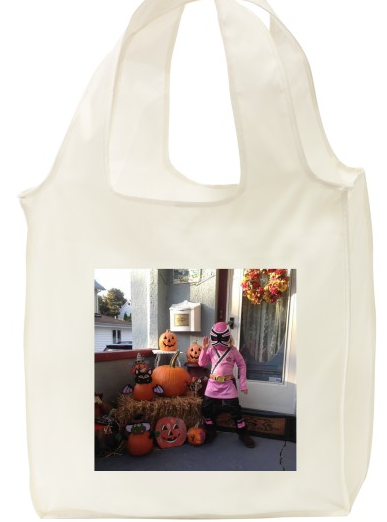 This entry was posted in DIY, Family, Holidays and tagged create your own, diy, Do it yourself, Frankenweenie, Photo-book, picture projects, pink power ranger, pink power ranger costume, reusable bag, Reusable tote, Shutterfly. Bookmark the permalink.